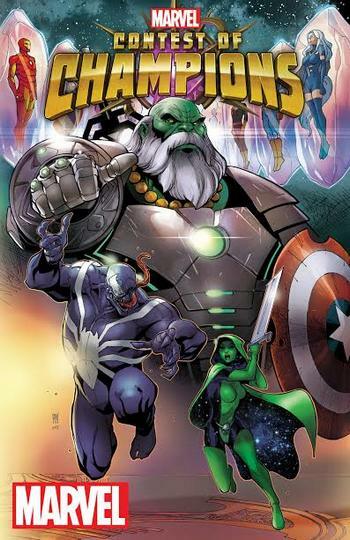 New York, NY—June 30th, 2015— After the end of Secret Wars and the rebirth of the Marvel Universe, the Battlerealm is created: a broken section of space-time that’s filled with the shattered remnants of Battleworld. Here, a grand game is played in a cosmic arena where heroes must fight for their very survival and existence. This fall, no one in the Marvel Universe is safe! This is the CONTEST OF CHAMPIONS!